Absolutely stunning pine wood floor! Check it out! 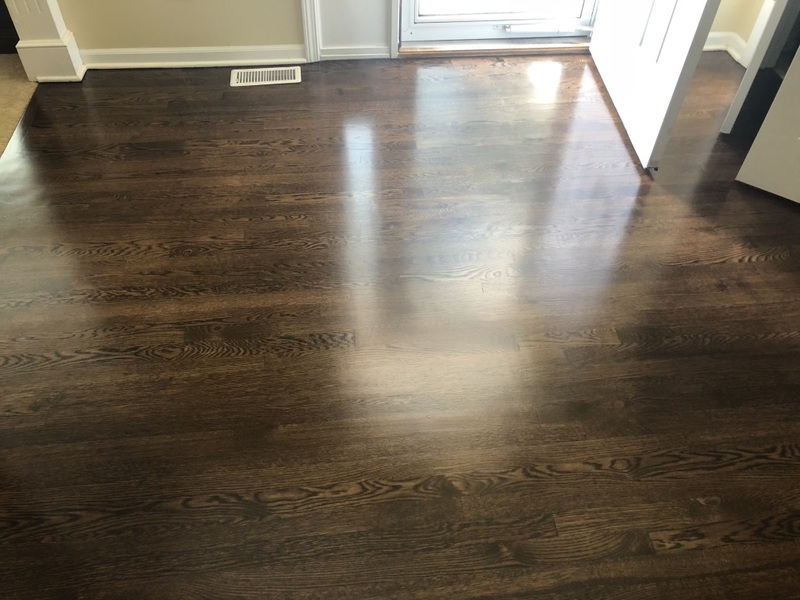 Full refinish of this rustic rough sawn wide plank flooring. Another full service project for a client in Overland Park, KS. 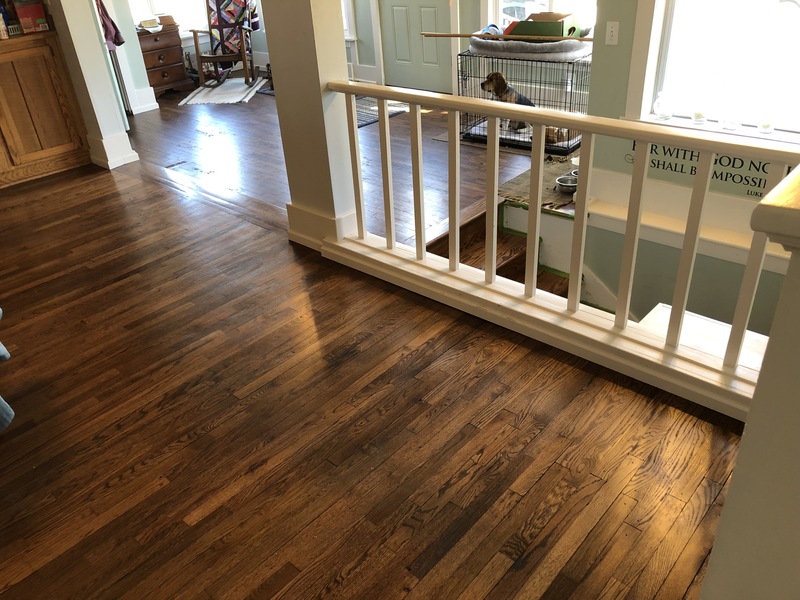 White oak #1 grade hardwoods laced into existing flooring. We prepared the floors for lace, stretching across 17 linear feet! Rift and quarter-sawn red oak hardwoods in the West Plaza, KCMO. A hardwood flooring dream! Look at those grain patterns! This floor looks three dimensional. This customer selected jacobean. This color is wonderful on red oak floors. 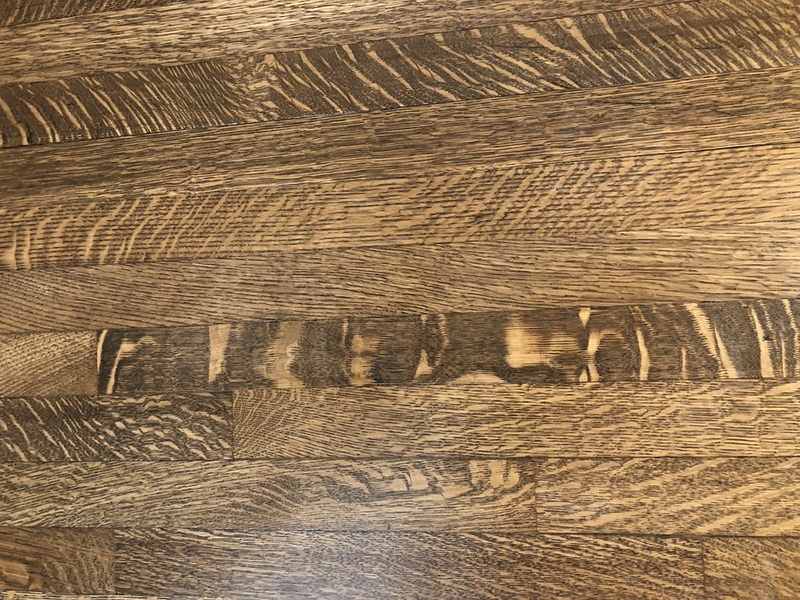 That color does a great job exposing the grain patterns, and people love seeing the character in wood like this. Sealed and beautifully coated with an industrial water-based semi-gloss finish. 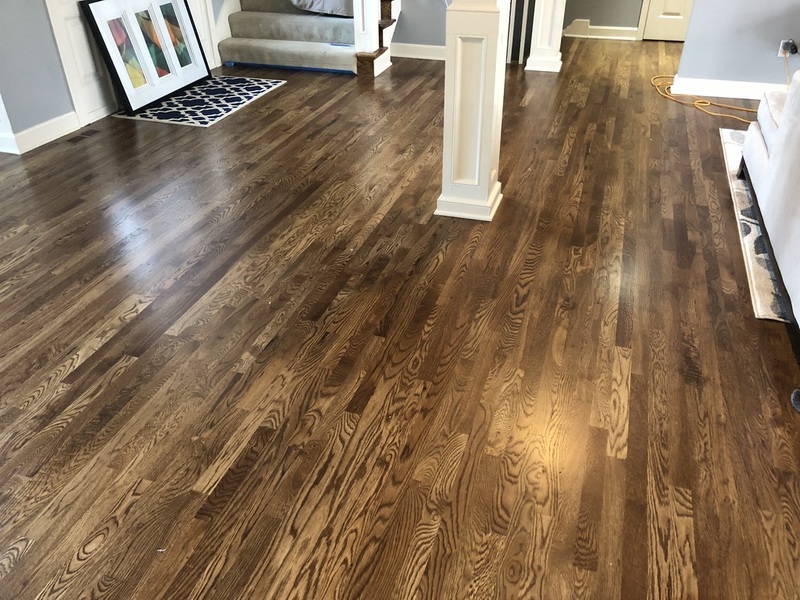 Installation and refinishing hardwoods in Platte City MO. Historical events in this town by Jesse James and Bonnie and Clyde. 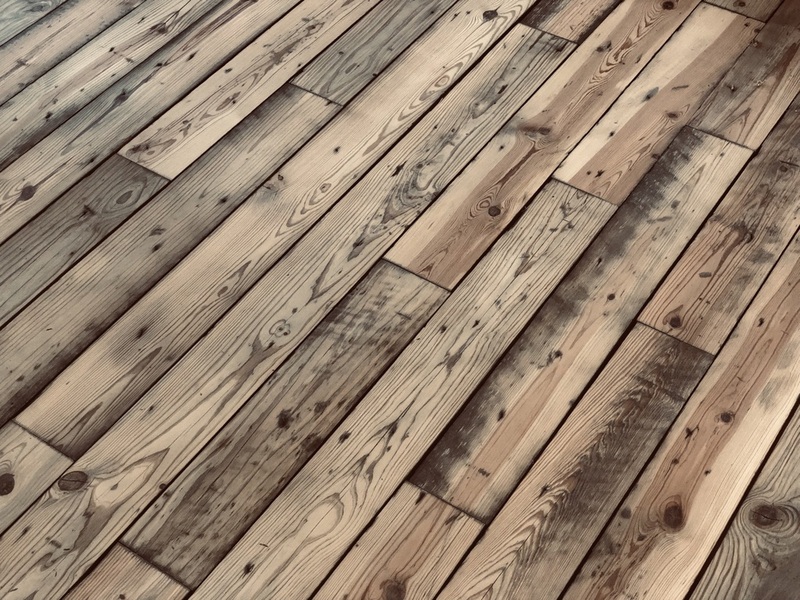 Check out these floors! 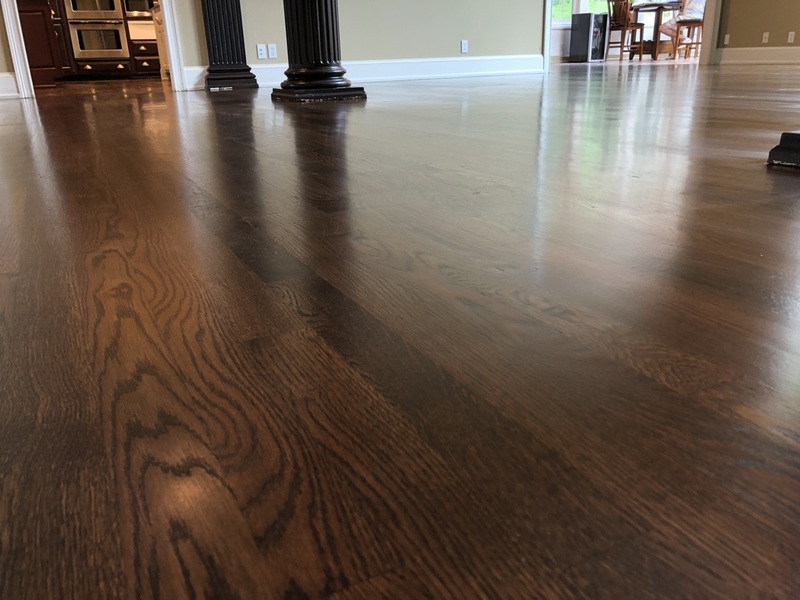 Look at all the character in this # 2 common white oak hardwood floor installation in Gladstone MO. You can see so many grains and knot holes in this floor. 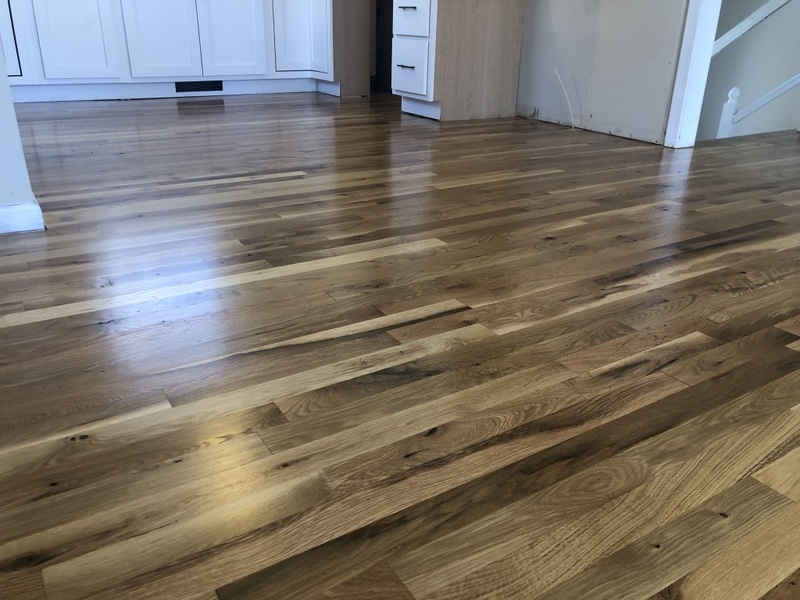 White oak is the best for a true natural floor. 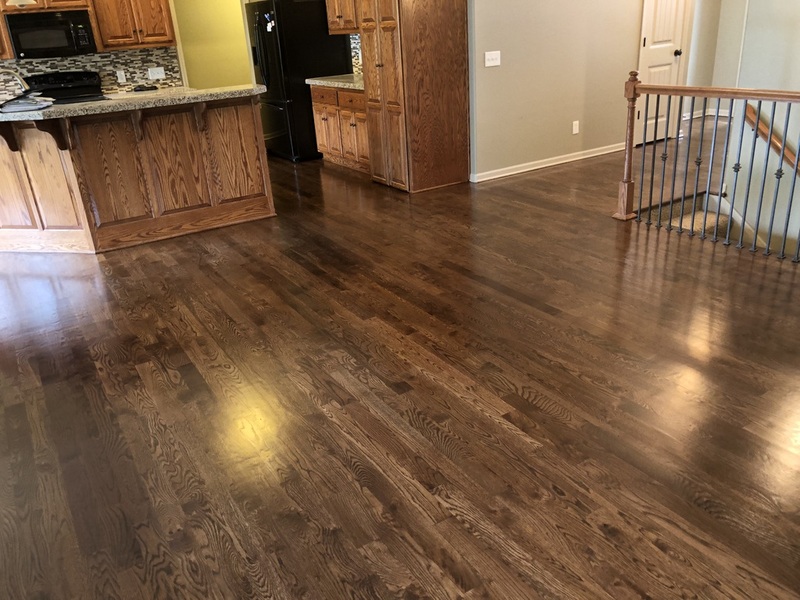 Beautiful dark walnut stained hardwood floors in Smithville MO. Top coated with an industrial pro satin water-based poly. Check it out! Check out this beautiful mansion in Briarcliff! Espresso stain color and top coated with a modified oil-based satin finish. Absolutely wonderful customer and a stunning final product! Talk about a hardwood flooring repair over-load! Hand-milled 2-1/4 oak hardwood down to 2 inch. 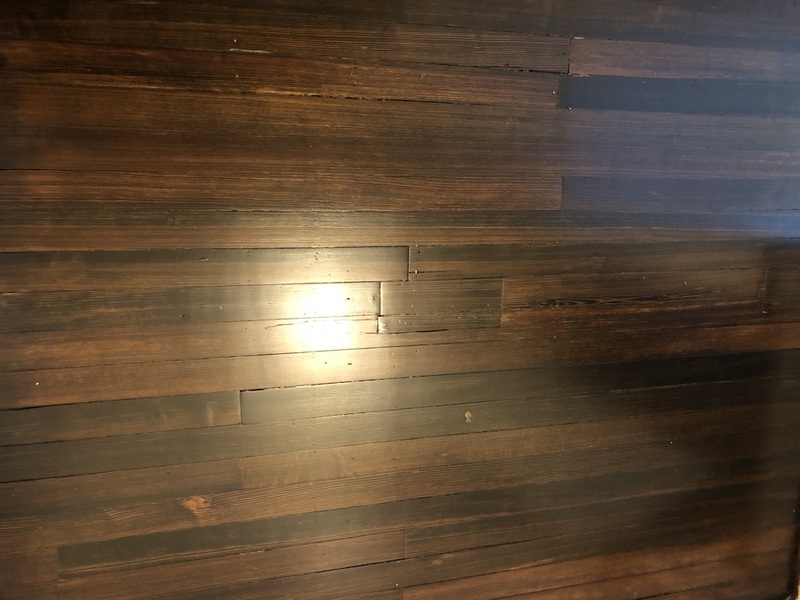 Lacing hardwood flooring with repairs. Subfloor repairs for weight support. 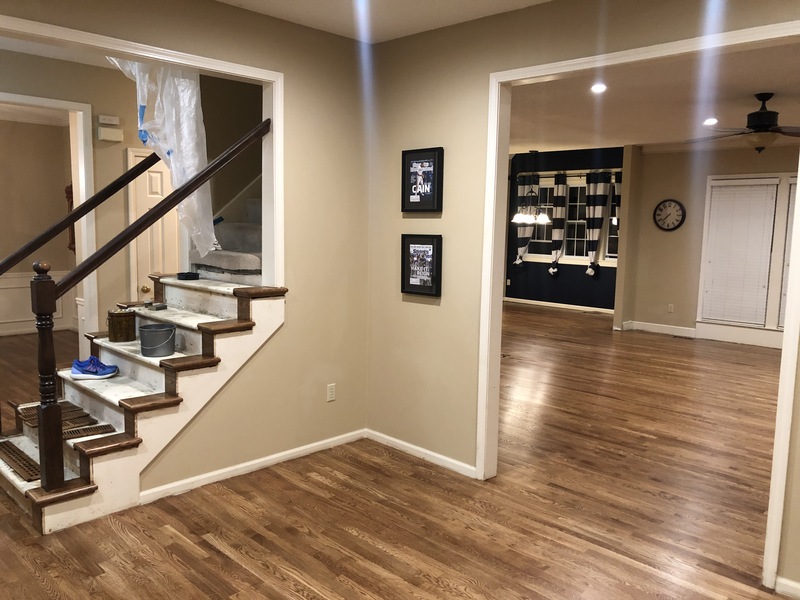 Installation of stair treads and risers. Full refinish to blend it all beautifully! Original pine hardwoods in this 100 year old house in Kansas City Kansas. A mess in the beginning and a stunning final product. Look how we gave this old floor life again!